Chrome finish round vanity mounting brackets elevate the style of this large oval vanity mirror, from the Latitude II collection by Gatco. Update contemporary inspired bath or vanity areas with this stunning oval vanity mirror. Its sleek, frameless design attaches securely to the vanity with round mounting brackets in a glistening chrome finish. From the Latitude II collection by Gatco. Latitude II large oval vanity mirror. Glass is 24" wide and 32" high. Hang weight is 15 pounds. A sleek oval energy-efficient lighted LED vanity mirror with a frameless profile ideal for a bath area. 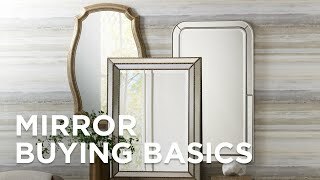 Designed to be placed above a vanitythis decorative wall mirror features a beveled glass edge and a Chilled Gray finish on the wood frame. Satin nickel finish ceiling-mount hardware lends a warm gray metallic accent to this frameless oval mirror design. Vertical light bars on either side of the LED vanity mirror switch between warm and cool light with a simple touch.